A plug-in hybrid version might arrive too. It would pair a small turbocharged engine and an electric motor. 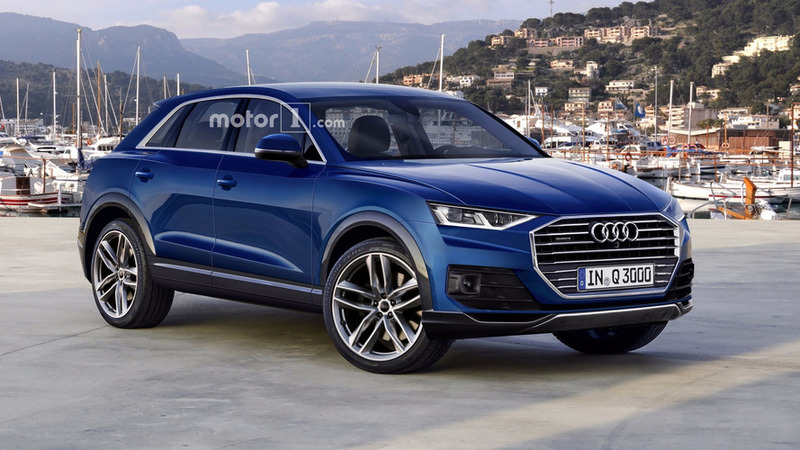 Spy shots already show Audi developing the next-gen Q3, and a rumor from Auto Express now suggests the Four Rings is planning both a plug-in hybrid and a fully electric powertrain for the compact crossover. The first examples of the new model should arrive in showrooms around 2018, but the electrified models likely come somewhat later. Auto Express doesn’t cite specific sources with this rumor but claims the plug-in hybrid, likely with E-Tron badging, would hit the market about a year after the Q3’s initial debut. Power would come from a 1.4-liter turbocharged engine and an electric motor. The full EV is still allegedly in the planning stages and would possibly share tech with the latest Volkswagen e-Golf, Auto Express claims. However, the publication’s assertion about using VW Group’s current tech seems dubious. The 2017 e-Golf manages a paltry 124 miles on a charge from its 35.8-kilowatt-hour battery. Cutting edge EVs of a similar size like the Chevrolet Bolt are using larger packs that allow for ranges well over 200 miles. For Audi to keep up in the segment, it would need an electric Q3 to have a competitive driving distance. VW Group is gradually increasing its focus on electric mobility and is reportedly investigating building a dedicated battery factory for the automaker's brands. By 2025, the corporation wants to have 30 EV models in the lineup that would sell 2 million to 3 million units a year. The next Q3 will move to VW Group’s MQB platform that will allow the new model to shed weight while getting a little larger. Renderings suggest an evolutionary design for the updated model but with small cues from the latest Q5. Most models would use three- or four-cylinder engines, but a range-topping RS Q3 would probably share the 394-horsepower (294-kilowatt) and 354-pound-feet (480-Newton-meters) turbocharged 2.5-liter five-cylinder from the RS3 sedan. Expect Audi’s Virtual Cockpit to be available inside, but it would probably be an option rather than a standard feature, like on the A3.